The disruption of normal activity during the political turmoil set back output and deprived the economy especially of tourism, export, and transport. In early 2011, Egypt knew drastic political developments on the domestic scene initiated by the revolution of January 25th and that lasted three weeks leading to the President stepping down after a 30-year rule, this altering the whole politico-economic landscape. A military council has consequently taken control of Egypt on a temporary basis until presidential elections can be held. The Egyptian military has publicly committed to guiding the transition to free and fair elections within a six-month period leading to a democratically constituted government. Meanwhile, Egypt's economy has been in disarray for the last twelve weeks, with some of the main sources of foreign exchange, including tourism and foreign investment, having buckled and many factories operating much below existing capacity. 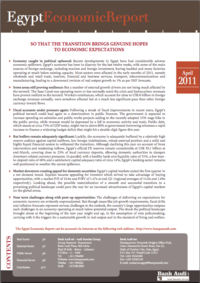 Egypt's exports slowed significantly in light of political developments. Economic activity has also suffered from the closure of businesses and banks and many investments decisions have been put on hold until the political outlook gets clearer. Nearly all sectors were affected in the early months of 2011, namely wholesale and retail trade, tourism, financial and business services, transport, telecommunications and manufacturing. All whitepapers are available to you and free of charge. 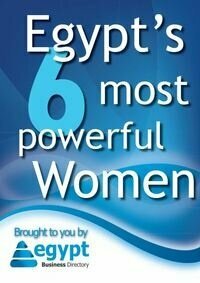 This whitepapers is provided by Bank Audi.